The Corporate Secretary reports directly to the Board of Directors (“BOD”). He carries out duties to manage investor and media relations, internal communications and corporate information. Specifically, the Corporate Secretary covers several areas of responsibility such as: fulfillment of all capital market regulations, developing good relations with Financial Services Authority (OJK) and Indonesia Stock Exchange (IDX), investors and analysts, as well as administering the activities of the BOD, the Board of Commissioners (“BOC”), the committees under the BOC and shareholders’ meetings. Currently, the Corporate Secretary position is held by Mr. Jimmy Pramono, whose brief profile is presented below. Mr. Jimmy Pramono was appointed by the Board of Directors as Corporate Secretary of the Company since 1 October 2006. He also a Vice President Director of the Company and responsible in managing Corporate Finance. In 1987, he graduated from the Parahyangan Catholic University, Bandung, majoring in Accounting. He started his career at Drs. Utomo & Co. Accountant Public (Arthur Andersen) as an auditor. 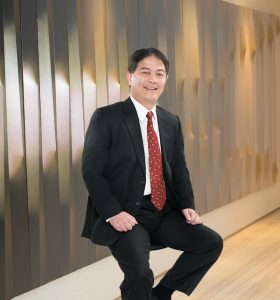 In 1996, he joined PT SMART Tbk as Assistant Vice President Finance.